Announcing the Interspecies Animal Friendship Winners! If you've ever seen a baby fawn befriend a donkey or an opossum befriend a German Shepherd, then you know the power of friendship is incredibly strong in the wild. Yes, even in your own backyard! 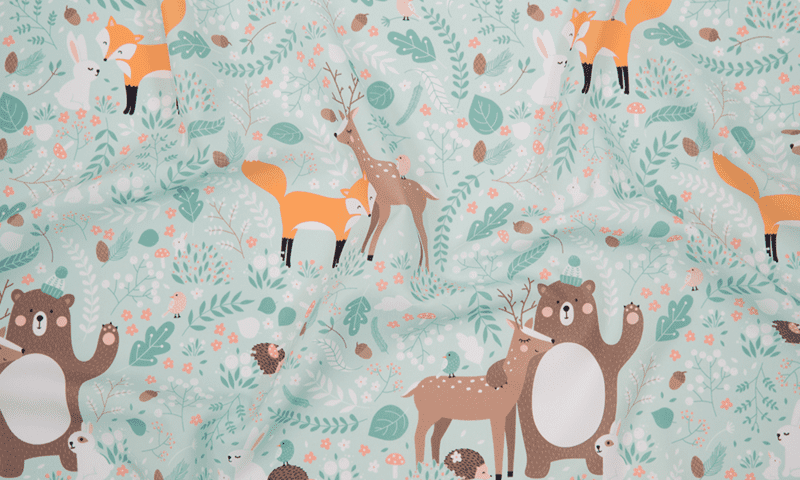 Let's give a huge cheer for this week's Interspecies Animal Friendship Design Challenge Winner, Innamoreva, with her cute design "Forest Friends." Be sure to check out the entire heart-melting top ten below! Vote for your Favorite Interspecies Animal Friendships! Who’s Got the Best Family Crest? Bowlerific Top Ten: Are these contest-winning bowling fabrics up your alley?